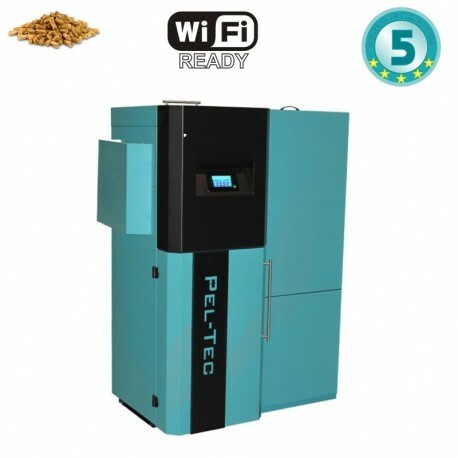 Pellet boiler Centrometal PelTec E lambda, 12 kW. With inbuilt lambda probe. 4 400,84 € tax incl. 4 889,82 € tax incl. * chimney inside diameter has to be determined according to the boiler nominal heat output and the height of the chimney and almost always it has to be bigger then the flue gas exhaust tube diameter.